I am an Associate Professor of Communication Studies at Vanderbilt University. My research explores rhetoric and intellectual culture in American history, particularly in the Gilded Age and Progressive Era. I’ve written a lot about William James, the great American philosopher and, as I explore, a brilliant lecturer and public speaker. 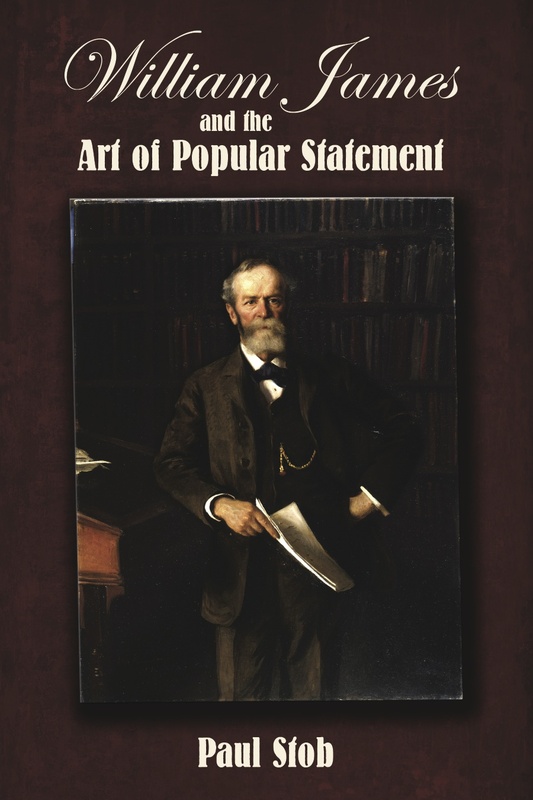 My book, William James and the Art of Popular Statement, published in 2013 by Michigan State University Press, explores James’s career as a lecturer and public speaker. You can read the introduction to the book if you want. In the rest of the book I explore, among other things, James’s 1878 lectures in Baltimore and Boston, Talks to Teachers on Psychology, The Varieties of Religious Experience, and Pragmatism. I also explore James’s advocacy of psychical research, which remains an understudied aspect of his career. I have recently edited a book with my friend Angela Ray of Northwestern University about marginalized intellectual communities in the nineteenth century. The title of the book is Thinking Together: Lecturing and Learning in the Long Nineteenth Century. It is slated to be published in May 2018 by Penn State University Press. It’s a great book and you should buy a copy when it’s out. I am currently working on a book about something I term “intellectual populism,” which basically involves the idea that inquiry and knowledge ought to be in the hands of ordinary people. The figures and groups I explore in the book were united in their desire to combat the academic status quo of their time and to empower the masses as intellectual agents. Case studies in the book center on Robert Ingersoll, Mary Baker Eddy, Thomas Davidson, Booker T. Washington, and Gertrude Bonnin. I’m thinking of titling the book Intellectual Populism: A Study in the Rhetoric and Resistance of Ideas, but the title seems to change every week or so. You can contact me if you really want: paul.stob@vanderbilt.edu.